Thanks to our Vendors for their support! Kamaria- is a jewelry brand started by cousin duo Ellie and Kristen. Kamaria means “moonlight” in Arabic and Swahili. Their goal is to empower women and men by wearing their jewelry. Even in the dark of night, the moon provides a beacon of light and hope. Like the moon, even in the darkest times, you too can reflect light and be the light that changes the tides. Restore Dignity-is Kamaria's non-profit charitable organization that provides financial assistance to Survivors of power-inequality trauma, including sexual assault, intimate partner violence, domestic violence, staling or hazing during their pursuit of a higher education. Their mission is to engage, unite and empower Survivors by reducing the financial burdens associated with these types of trauma and ensuring equal access to education. Mint Hand-Picked offers on-trend, affordable women's clothing and accessories. They have all the latest looks for you to shop! Heather loves helping ladies feel amazing about themselves. She is bringing her stylish, beyond comfortable clothes and will help you find the ones that will make you feel amazing. Lularoe is a modern line of women's clothing that comes in a variety of fabrics, prints and styles so you are sure to find something you love! The Secret Scarves® Cooling Insert is hidden inside your own fashion scarf and provides immediate relief on the back of your neck and helps to reduce embarrassing Hot Flash symptoms. You can use it over and over again and keep your hot flash a SECRET. GloveStix and ShoeStix are a locally owned mom invented product that has won awards on the Today Show and most recently were scene on a November episode of Shark Tank. The Stix will inhibit 99.9 % of odor causing bacteria growth, absorb moisture and deodorize your favorite pair of athletic gloves, shoes, boots, cleats and skates! Easy as Stix in… stink out! Jewelry Junkie by Steph , previously known as Girlie Glitz and Glam is sourcing the most amazing bracelets, charms, necklaces and chains that will appeal to everyone! Great prices combined with the HOTTEST trend jewelry is sure to create a sensation! Kissable lips...ALL DAY It lasts up to 18 hours while hydrating and healing your lips with over 50 colors to chose from. What is LipSense? a two part lipstick product that involves a colored lipstick and gloss  it molecularly bonds to your lips to give you a color that lasts 4-18 hours  it is non-drying, hydrating and wax free! It contains shea butter and vitamin E oil to help nourish your lips throughout the day  it is smudge proof, kiss proof and waterproof. You can eat and drink all day and it won't come off it is vegan, lead-free, gluten free, GMO free, not tested on animals and made here i. n the U.S. It's just about the most amazing product in the history of lipstick!!! Discover our skincare regimens that help address your skin concerns - Acne, Skin Firming, Skin Tightening, Sensitive Skin, Sun Damage, Hydration and Lashes. No matter your age, gender, skin tone or ethnicity, Rodan + Fields® products can help you to achieve healthier, younger-looking skin. 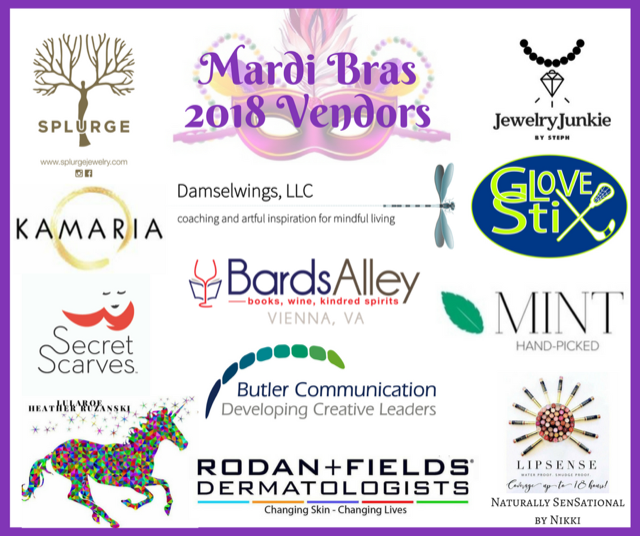 This boutique out of McLean, Virginia showcases unique and "affordable" luxury collections, including Jewelry from over 25 artists+, Fashion Outerwear: Cashmere and Cotton ponchos (toppers), fur trimmed shawls, vests, jackets, gloves, hats and so much more.....We also over fun and unique gift items starting at $20. Founder Martha Brettschneider is passionate about helping busy people live more mindfully through her offerings as an author, speaker, fine art nature photographer, and mindfulness meditation facilitator. Butler Communication delivers results-focused Leadership Development Training and Executive Coaching to build resilience and flexibility in people and organizations. Their work releases untapped capacities for creativity, collaboration and innovation in the workforce to improve results and workforce culture. They partner with business owners, executives, emerging leaders of all ages, and highly motivated young professionals, who are looking to activate their full potential. Their special passion lies in helping women in STEM-based professions to develop an authentic and effective leadership style and to create inclusive and engaging high-performance work environments. Located in Vienna's historic Church Street shopping and dining district, Bards Alley is a new independent bookstore and wine bar offering literary-themed gifts, a rotating selection of wine and craft beer, and locally made small plates. They will be bringing a selection of books and other fun gift items.